SUMMARY: Barbara Reaume was selected to represent the sale of a San Roque house for sale located at 3219 Calle Rosales in Santa Barbara, CA, through the Coldwell Banker Montecito division. The Santa Barbara home is listed for sale at $1,075,000 and was originally received on Wednesday, April 16 2014. SANTA BARBARA, CA – April 21st, 2014 – Coldwell Banker Montecito Real Estate was selected over competing Santa Barbara real estate brokerages to represent the sale of a San Roque home located at 3219 Calle Rosales. 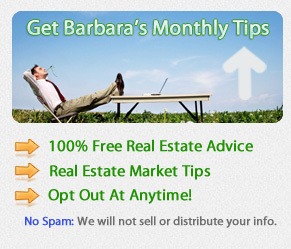 Santa Barbara Realtor Barbara Reaume listed the property last week for $1,075,000. Pictures of the home are available here. Coldwell Banker Montecito is located at 1290 Coast Village Rd Montecito, CA 93108. 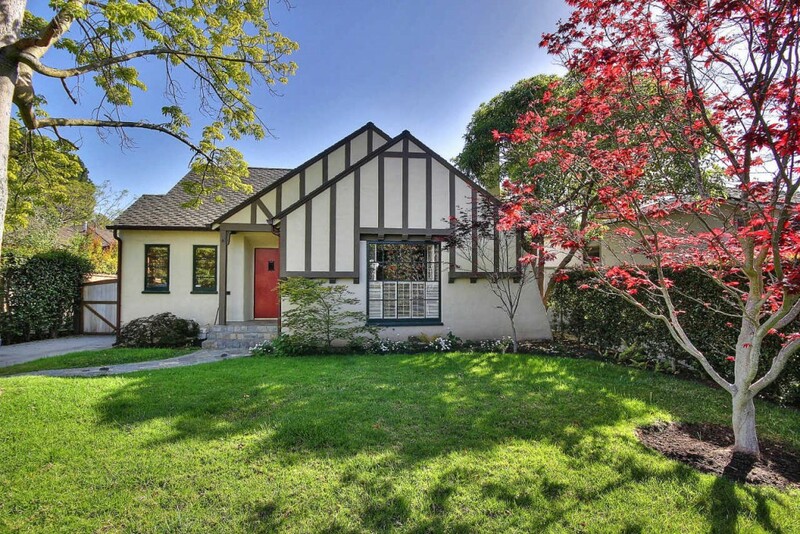 The distinctive Tudor style home is a stunning combination of notable architecture, remarkable history, and unparalleled location. This charming San Roque home has stunning views of mountains from the living room and features beautifully landscaped grounds, Wolfe range, dining room, deck and patio, vaulted living room ceiling w/fireplace and updated baths. 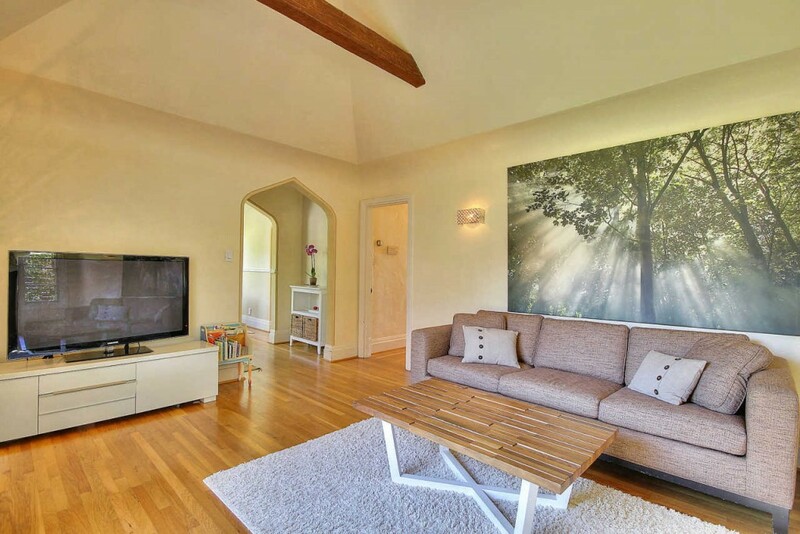 Situated on a 7,405 sqft lot, this unique 1,093 square foot, two bedroom, two full bath residence takes in unobstructed mountain views as no other home in Santa Barbara can. Few residential neighborhoods of Santa Barbara can boast the rich historical background of the San Roque and Rutherford Park areas. The neighborhood got its name when the first white men arrived in 1769 with Governor Portola. They camped at the mouth of the San Roque Creek, which they named to memorialize the patron saint of invalids, saint Roque, a Carmelite friar of the 14th century. Now built-up, economically stabilized suburb, it is admired for its sweeping curved street, its luxuriant landscaping, and its harmonious blend of many architectural themes – Spanish Colonial, English Tudor, French Normandy, California Redwood, Italianate and American Colonial, mostly built since 1925. With shopping and banking facilitated at their very doorstep, residents of San Roque feel they are living in one of Santa Barbara’s choicest residential neighborhoods, where investing in home or business property guarantees future security. 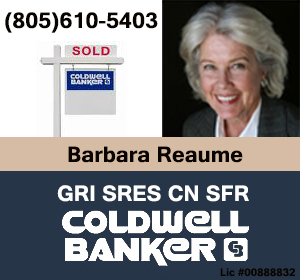 About Barbara Reaume: Barbara Reaume brings her thirty-two years of realty experience to Coldwell Banker Montecito realtors. As one of Montecito’s top realtors, people who want to sell or buy a home in Santa Barbara seek her advice on buying a single family home, finding a condo, or purchasing land as an investment. Visit the website and Facebook page or call 805-610-5403 for more information or to request a quick quote.